Saber Corp, Combat Sabering for ALL!! We are US company specializing in the research and development of equipment and gear for the combat sport: Combat Sabering. 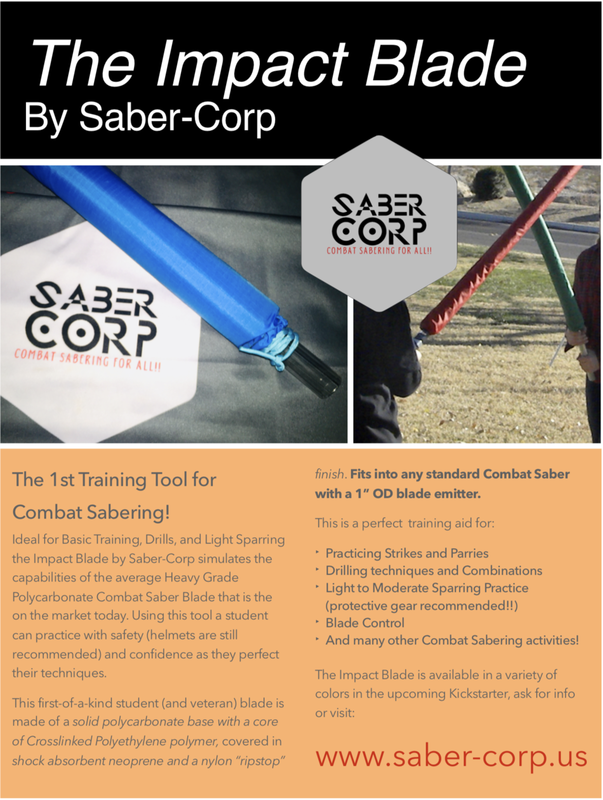 Saber-Corp is proud to announce that groups and organizations can now begin acquiring Alpha Generation Impact Blades to use and test with their groups. This is an expanded testing phase that will last for the next 3-6 months and overlap with the Kickstarter (coming very soon!). The purpose of this testing is to gain more information about the product and feedback on the final tweaks before launching the final product. By following the link below you may take a survey and get placed on the list. Base cost is $20 per unit, plus all applicable US shipping costs. We can, and will, provide shipping breaks to anyone who is willing to provide social media support and video reviews to us for use. It has been a long time coming, 100’s of hours of R&D and lots of internal testing. However the Impact Blade is here! We have begun Alpha testing with outside groups last week, and this week we will be at SkillCon in Las Vegas with a booth. There will be exciting announcements over the weekend as we get ready to launch the Kickstarter. Savoy Room at Combat Con!! 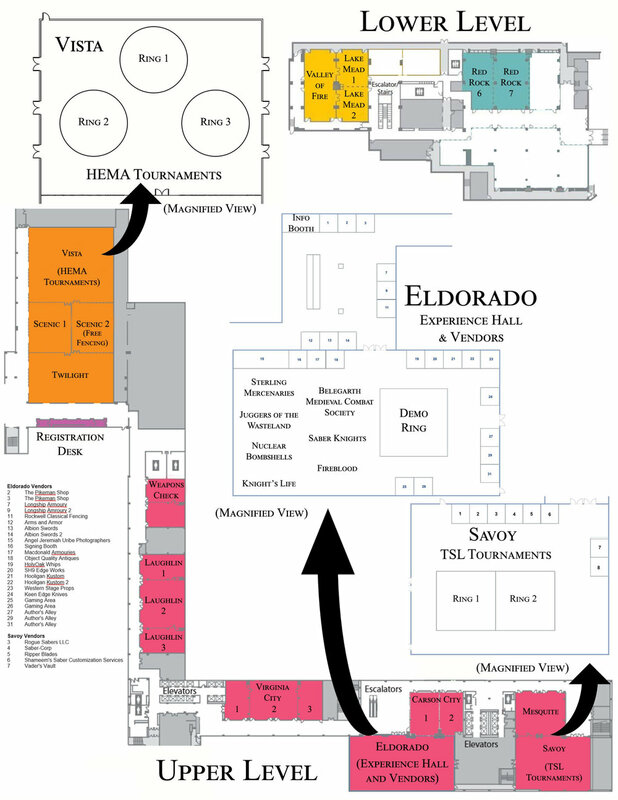 We are in the Savoy room with the TSL Vendors: Vader's Vault is here!! Ripper Blades is Here!! In preparation for our booth at Combat Con and TSL 3 in Las Vegas, we have prepared the survey to gather information for the upcoming Kickstarter. Please take it, it will get you notified when the promotional materials are ready also. Stay tuned for announcements regarding our "Ultimate Student Toolkit for Combat Sabering" Kickstarter planned for mid-late August! To be added to our survey list, email whittknight@gmail.com with the Subject "Kickstarter Saber Survey request."